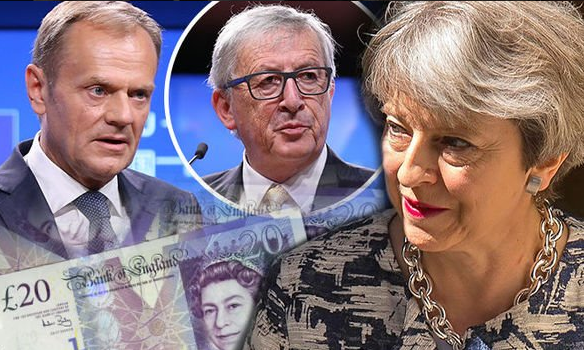 Mr. Donald Tusk, the head of the European Council, has hammered another nail into Prime Minister Theresa May’s coffin by stating at the end of the EU Summit in Salzburg, Austria that her proposed new economic partnership with the EU "will not work." Ms. May’s by now infamous plan, known as the ‘Chequers’ proposal, risked undermining the EU's single market according to Mr. Tusk. His conclusion comes at the end of an EU summit in Salzburg where leaders of the 27 remaining member states discussed Brexit without the UK. Mr. Tusk full comments were: “At our EU 27 working lunch today, we had a good discussion on Brexit, which once again reconfirmed our full unity. Related coverage: <a href="https://thegoldwater.com/news/37211-Brexit-London-Mayor-Sadiq-Khan-Says-New-EU-Vote-Only-Approach-Left-Video"> Brexit – London Mayor Sadiq Khan Says New EU Vote 'Only Approach Left' (Video)</a>. "Everybody shared the view that while there are positive elements in the Chequers proposal, the suggested element for economic cooperation will not work, not least because it risks undermining the single market." "The moment of truth for Brexit negotiations will be the October European Council. In October we expect maximum progress and results in the Brexit talks. Then we will decide whether conditions are there to call an extra summit in November to finalise and formalise the deal." "It must be clear that there are some issues where we are not ready to compromise: our four fundamental freedoms and single market. This is why we remain skeptical and critical when it comes to this part of the Chequers proposal. The Irish question remains our priority too. For this, we need not only good will, which we feel today … we need tough, clear, and precise guarantees." It comes as another blow for UK Prime Minister Theresa May, who earlier saw resistance against her ‘Brexit’ plan from a large part of her own Tory party and was warned that the Labour party, the largest opposition force in parliament, would vote against it. Ms. May remains of the conviction however that her proposals are the "only serious credible" way out.